Experience has consistently shown that solar spreads by word of mouth. Sharing your solar story can help inspire others to start their solar journey. 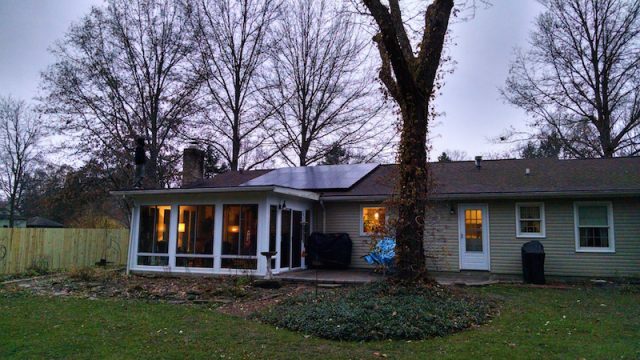 Complete our simple form to share your story and photos with other prospective solar owners. By sharing your story, you are granting Solar United Neighbors permission to publish it on our website, and share it with other potential solar owners and policymakers. How large is your solar energy system (in kW)? Do you have a photo of your installation that you can share? Did anything surprise you about the process of going solar? Why did you choose to go solar with Solar United Neighbors? What benefits did you experience going solar with a co-op? Do you have any data about your solar system performance? What electricity savings have you seen since going solar?